Have you stepped into a Mark's store lately? I did and was surprised to see that what was once a room outfitted with construction boots and flannel has now been replaced with smart clothes for everyday living. Same with their new e-commerce site which now boasts a sleek design, an improved checkout experience and a ratings and reviews section (coming soon). So jump online and think of all the time you'll save from not having to circle around the mall parking lots! Seriously, forget about packing around in your parka... now you can cozy up in your PJ's with hot cider and mull over the Mark's Winter Lookbook. Which look is better for the holiday office party? Which look is better for a dinner + movie date night? Which look is better for a ski weekend getaway? For more looks and gift ideas, check out the new Mark's website. 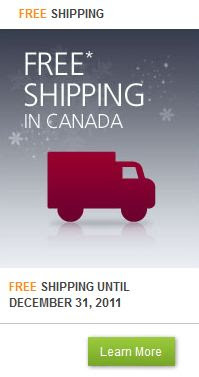 In order to celebrate their new site launch, Mark’s is offering free shipping until December 31, 2011 – on everything and just in time for the holidays.